BRONCO FANS, See you in Hahnville! 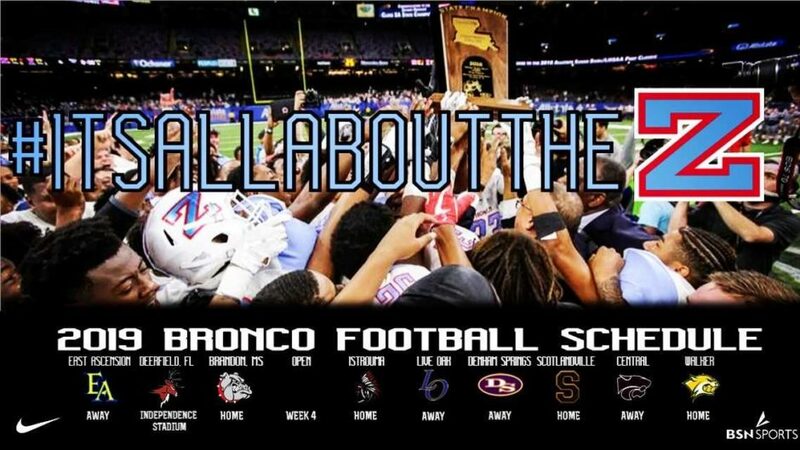 Posted in ZHS Football Happenings	| Comments Off on BRONCO FANS, See you in Hahnville! Game Day, It Sure was FUN! Posted in ZHS Football Happenings	| Comments Off on Game Day, It Sure was FUN! Posted in ZHS Football Happenings	| Comments Off on That was then, this is now! TweetPictures, Practice and Lunch at Golden Corral! Tweet Broncos went into their house and beat em! Posted in In the News, ZHS Football Happenings	| Comments Off on Broncos Defeat West Monroe!